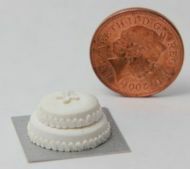 With our wide range of miniature Celebration Cakes you could do a shop full of them, or just choose that special one as a centrepiece to a scene! 1/12th scale. 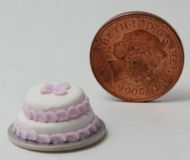 , , A round, 2 tier Cake with blue decoration, , ideal for your dollshouse celebration. 1/12th scale. , A 2 Tier Cake with lemon decoration. , For your dollshouse celebration. 1/12th scale. , 2 Tier celebration cake, pink decoration. 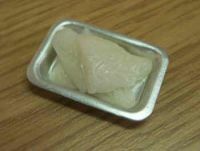 , For your dollshouse party or wedding reception. 1/12th scale. 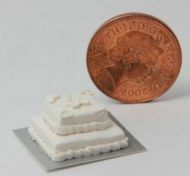 , , This square, 2 Tier Cake with blue decoration, is ideal for your dollshouse celebration. 1/12th scale. 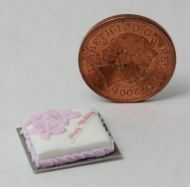 , This square, 2 Tier Cake, with its pink decoration, is ideal for your dollshouse celebration. 1/12th scale. 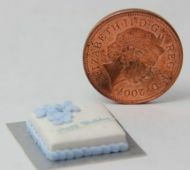 , Our very popular square Birthday Cake, with blue decoration. For your dollshouse party ! 1/12th scale. 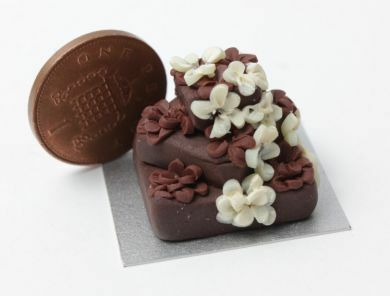 , , Our very popular square Birthday Cake with lemon decoration. For your dollshouse party ! 1/12th scale. 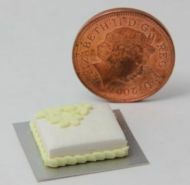 , Our very popular , square Birthday Cake, with pink decoration. , For your dollshouse party !